Energy Technologies' products are in use around the world where high-reliability and high-quality power conditioning, power generation and computer peripherals are needed. ETI's units are designed and built rugged to prevent damage due to mechanical shock and vibration. These products also incorporate numerous intelligent monitoring and control features while conforming to all pertinent commercial, industrial and mil spec standards. Energy Technologies, Inc. is working to develop reliable, cost-effective back up power equipment combining UPS functionality with fuel cell efficiency. To this end, ETI has develop rugged, kW-scale metal hydride fuel cells (MHFC) targeted at backup and< mission-critical power for military, telecommunication, industrial and commercial applications. 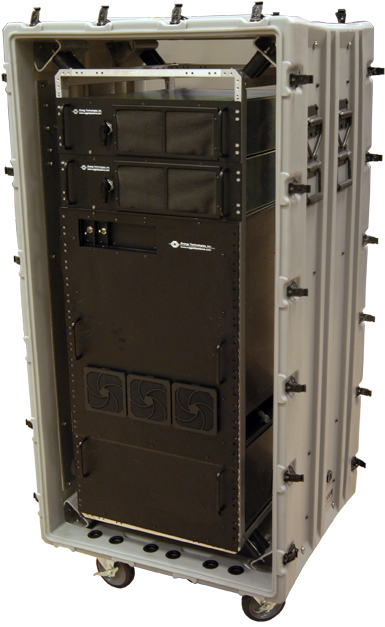 As part of their ongoing relationship with the defense community, ETI was asked by the Mobile Electric Power (MEP) commands of the US Army and the US Marine Corp to integrate Fuel Cell technology into the array of power products provided by ETI. ETI reviewed state of the art fuel cells to determine which technologies best suited development into products suitable for defense applications. We eventually went with a fundamentally new type of fuel cell, the Metal Hydride Fuel Cell (MHFC), which provides unique performance advantages over conventional technologies. Advantages include rapid startup and wider temperature operation; elements essential in developing a militarized product. In addition, the MHFC uses a low cost manufacturable approach. 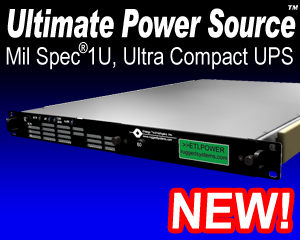 These basic characteristics are being further developed by ETI to provide and manage computer-grade AC and DC power while satisfying military performance specifications including the demands of harsh environments found in tactical applications around the world. Energy Technologies, Inc. was recently awarded a $1 million grant through the Ohio Department of Development (Third Frontier Fuel Cell Initiative) to develop a robust fuel cell generator for the military. To serve this emerging market, ETI established a new business entity called Ultimate Fuel Cells to serve the needs of the defense industry. • Critical communication systems in embassies, federal & civilian agencies and wireless networks. ETI’s products are used in over 150 defense programs as well as a multitude of major commercial and industrial applications. Some key programs ETI supports include: Tomahawk Missile Systems (ATWCS), Ship Self Defense Systems (SSDS), and GE Wind Energy.